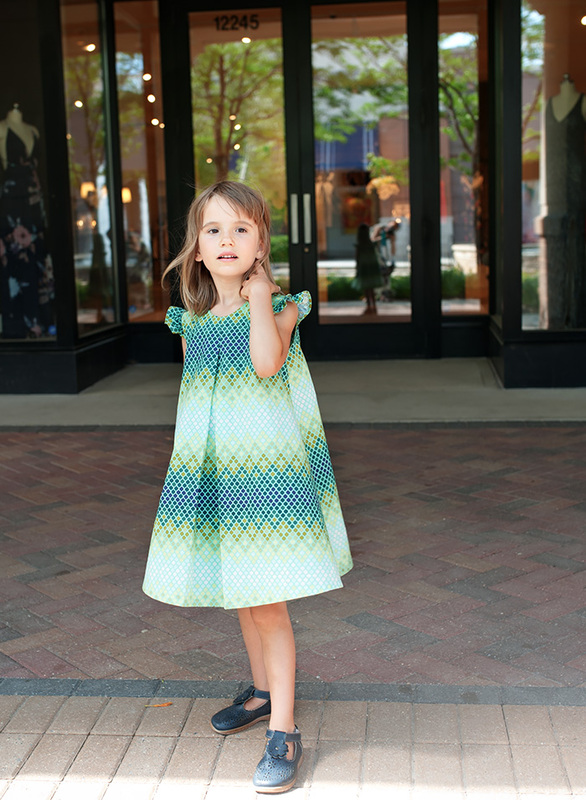 My youngest requested a new dress, and then my oldest declared that she would like one too. It was a bit of a surprised since she doesn't like wearing dresses. I decided I better oblige before she changes her mind. They both love their new dresses. 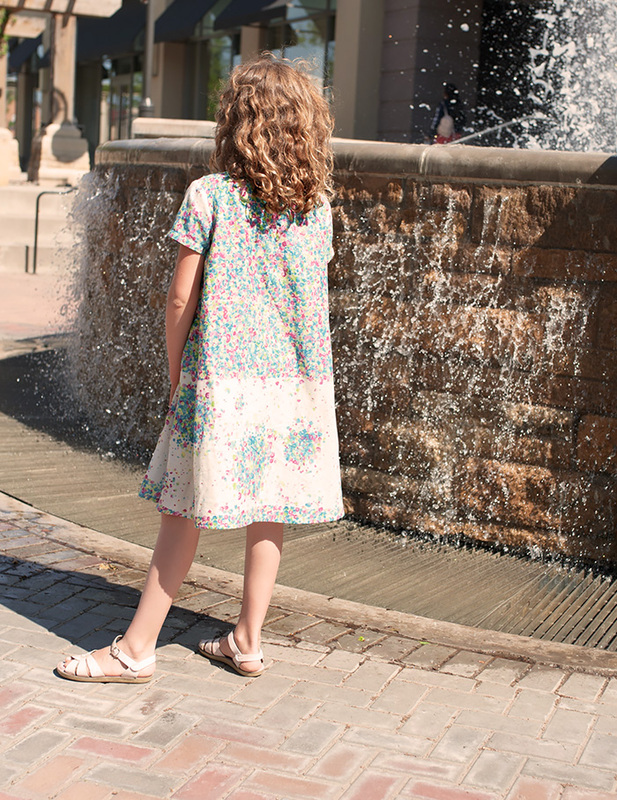 If you have a child who is not into wearing dresses, do try my Eleena pattern. It's so pretty yet super comfy to wear. If you make in in super soft double gauze like I did, it becomes secret pjs. For Ania's dress I used super pretty Nani Iro fabric that was gifted to me by my good friend Emi of Just Add Fabric. I think the Eleena pattern and the fabric are a perfect match! It really shows the super pretty print well. I used the short sleeve option, there are also flutter sleeves and long sleeves included in the pattern. I can't remember exactly what fabric this is. I think it might be Cotton+Steel, an older collection. I had it for ages. I threw out all the scraps after sewing, so no selvages to look up the name of the fabric. Unfortunately, I didn't' have enough yardage to match the sides. Does it bother me? Of course it does, but I just have to live with it. lol I used the flutter sleeves option. This was the point in the photoshoot when Evelyn discovered a week old scratch on her arm. The mother was supposed to drop everything and kiss it immediately, even though it was an old one. The mother told the child to wait. Go here to purchase the pattern. I love these dresses, the photos and the story! Haha your little one is so cute!! It's so sweet how mama can still manage to perform magic when your child is young, right? ;) And I love how the nani IRO worked with the Eleena! So gorgeous. Actually, BOTH versions are so beautiful! Such pretty dresses! My favorite is the green one. I am partial to flutter sleeves. I love the last photo of your girls looking at each other. That’s hilarious (the story of course) and I still just love the smaller dress especially. Probably because it’s a look at fabric I wouldn’t naturally go for and then see that I really love. 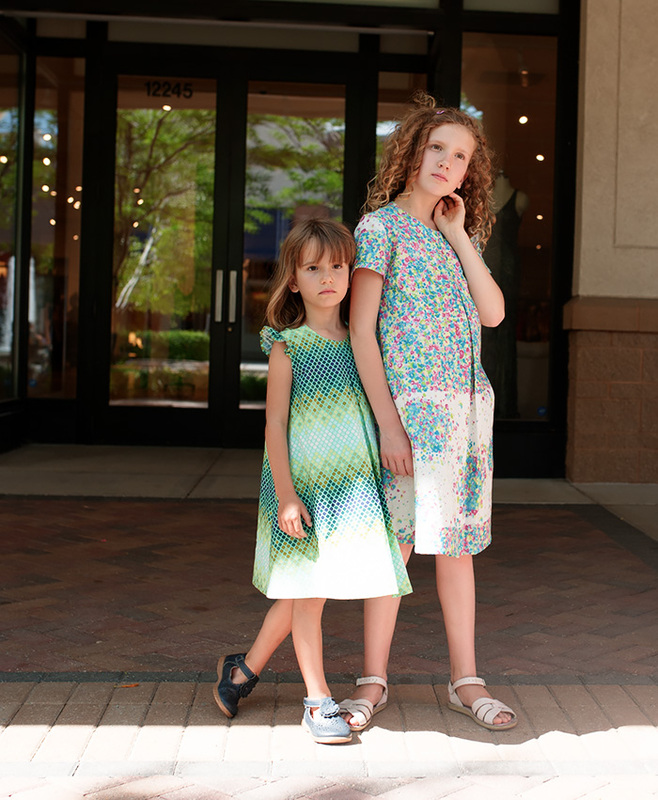 Such darling dresses! 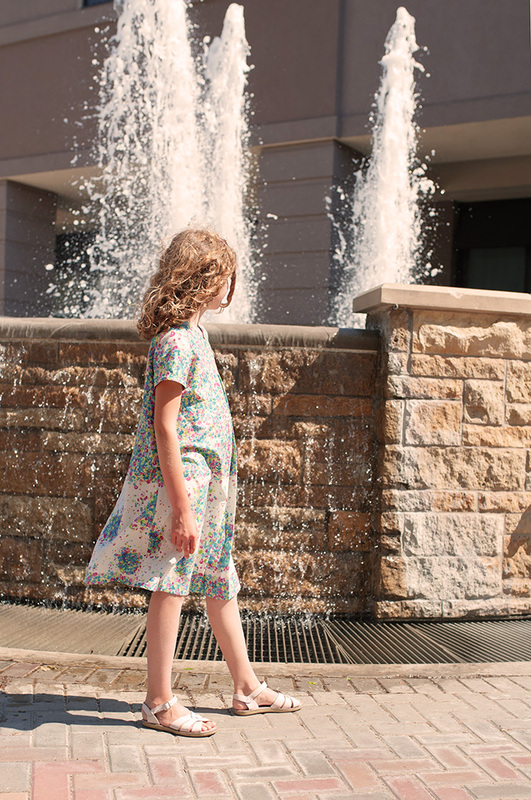 My daughter has outgrown her Eleena dress, I should make her another one!